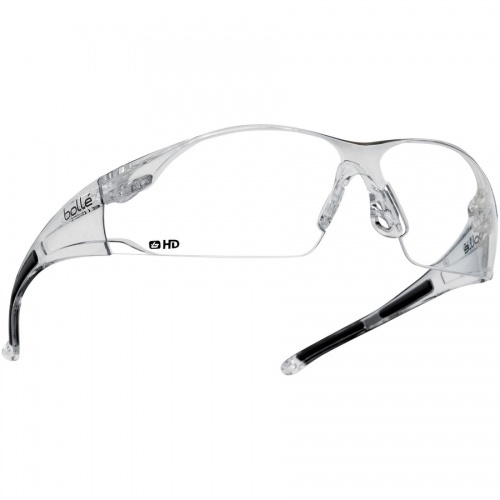 The all-round vision, lightweight RUSH model offers perfect optical quality, maximum comfort and a modern design. The HD coating can be used for every type of job except those that require solar protection for industrial use. Unlike any other lens, wearers forget they are protected by the HD coating. Its visible light transmission rate is 96% compared with 92% for conventional clear lenses. Featuring a hydrophobic coating as standard, HD is a real polymer barrier and resists water and dirty marks.